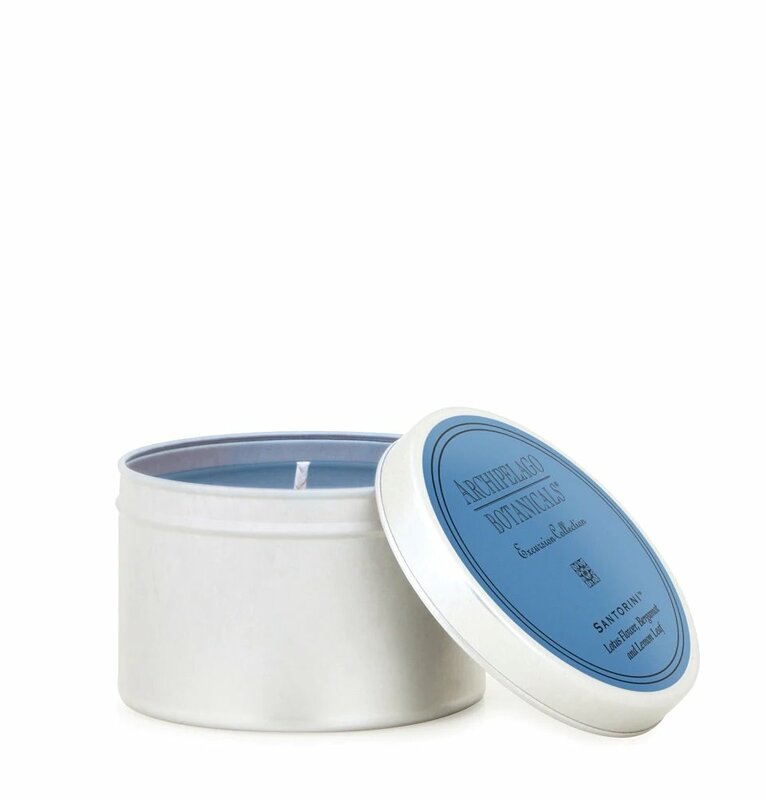 A fragrance tour of the Greek island of Santorini with lotus flower, bergamot, and lemon leaf in a hand poured candle in a tin with lid. Use in the home or office or for travel. Made with the finest waxes, lead free wicks, and complex, essential oil fragrance blends. Approximate burn time 55 hours. 5.9 oz. 3" Diameter, 2" Tall.